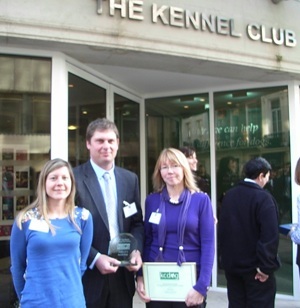 Dorset Dogs has been awarded the ‘KC Dog Special Recognition Award’ in recognition of our work to promote canine access and responsible dog ownership over the past year. Dorset Dogs joined other canine campaigners from across the country to celebrate their dog-related good deeds of the last twelve months at a prize-giving ceremony in London’s Mayfair. The KC Dog Awards credit the actions taken by politicians, local authorities, public bodies and individuals to develop positive alternatives to restrictions on dogs and promote responsible ownership. 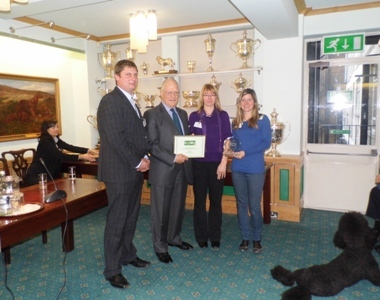 Speaking at the presentation, Kennel Club Chairman, Steve Dean, said: “These awards are an opportunity for us to credit the actions taken by local groups to ensure that the UK’s dogs continue to enjoy maximum access to our open spaces. 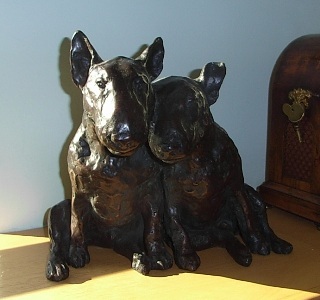 For more information about the Kennel Club visit www.thekennelclub.org.uk. Dogs were of course invited too! 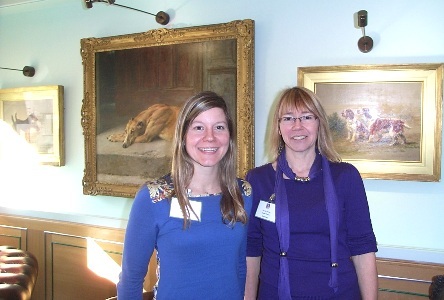 Rachel & Su enjoy Art in the Members Room. 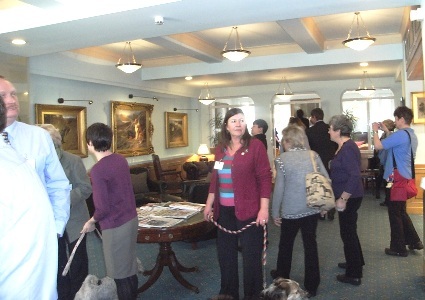 Award winning Good Citizen trainers & KC Dog Award winners visiting the Members Lounge and admiring the wonderful art collection. We had a wonderful day at the Kennel Club, with tours around the amazing art collection in the beautiful Gallery and the comprehensively awesome Library, with fascinating talks from both the art curator and the librarian. Thanks to Heidi, Denisa, Steve, Bill, David and all the folks at the Kennel Club who put so much work into making it so special. We had a fantastic day!